After having been one of the geographical denominations of Languedoc wines, the appellation Pic Saint Loup has been recognized as an autonomous Appellation d'Origine Autonome since September 2016. The AOC has taken the name of Pic Saint-Loup; The emblematic mountain that dominates the vineyards. The vineyard is located in the garrigue, north of Montpellier between the Cévennes and the Mediterranean coast. The relief, the climate and the terroir: all the assets are combined to make the Pic Saint Loup an exceptional wine! The area of ​​production of the AOC Pic Saint Loup is limited to thirteen communes, and covers a little more than 1000 hectares. The AOC Pic Saint Loup concerns red wines and rosé wines. For each of their own, winegrowers have the obligation to assemble at least two grape varieties, among the grapes grown on the vineyard: Grenache, Syrah, Mourvèdre. 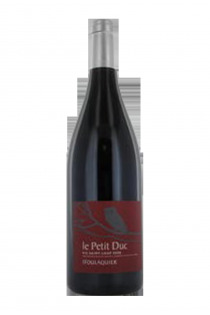 The red wines of Pic Saint Loup present aromas of red fruits and spices, with notes of garrigue and characteristic ripe fruit. They can be enjoyed as an aperitif or as an accompaniment to meals, with a cassoulet or a piperade for example. The rosé wines of Pic Saint Loup reveal sweet aromas of strawberry or raspberry. Their roundness gourmande illuminates the aperitif, the grilled meats and the recipes of Provence. The soil of the AOC Pic Saint Loup presents an extraordinary richness: hard or soft limestone, marls, conglomerates ... This diversity brings favorable conditions of irrigation for the vines. 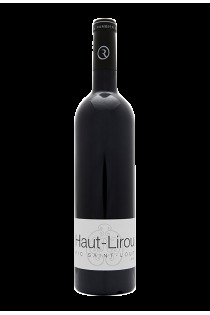 Three grape varieties flourish particularly in the AOC Pic Saint Loup. They benefit from specific climatic conditions, between continental influence and proximity to the Mediterranean. 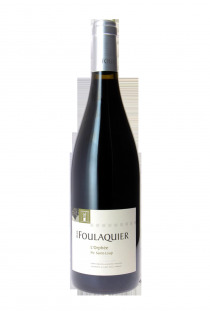 The Grenache, the historic grape of the Pic Saint Loup, brings roundness to the wines. Syrah, the grape variety from the Rhone Valley, has found its land of choice in this Mediterranean vineyard. It enriches the wines with its floral and fruity aromas. Finally, the Mourvèdre transmits all its power to the Pic Saint Loup, for structured wines with good potential for keeping. Some wines of Pic Saint Loup also present assemblages in Cinsault and Carignan.